Are you really a beginner? The first time I decided to survey readers and customers several years ago, I got a bit of a shock. I realized, I really had no idea anymore what "beginner" truly meant. I knew what it meant to me. But it clearly meant something different to my readers and customers. The many meanings of "beginner"
True beginners who were just getting into garment sewing for the first time. Women who had been sewing for 5-10 years and still thought of themselves as "beginners." Women who had been sewing for 10+ years who thought they were "advanced beginners." I’m using "beginner" as an example, but this held true for other skill levels too. In fact, the only people who called themselves "advanced" were women who had been sewing for at least 40 years. Wow! At first, I thought this was due to a lack of confidence. I mean, if you’ve been pursuing a hobby for 30 years, and don’t claim the "advanced" label, what else could it be? Over time, as I talked to more and more sewists, I realized that confidence itself was not the issue. These sewists were plenty confident in the skills they’d acquired. But what I realized is this: sewing is not a single skill. It’s actually a collection of highly diverse (but related) skills. There’s the manual dexterity of actual stitching. There’s knowing which technique to use when. There’s fitting. There’s fabric understanding. There are specialties like tailoring, knitwear, or bra-making. With all these skills under one umbrella, it’s easy to recognize how much you don’t know. Who wants to call themselves "advanced" when there is so much they haven’t even had a chance to try yet? Or techniques they just don’t have any interest in? All of this has made labeling patterns with a simple skill level rating sort of difficult. I know other pattern makers have thought a lot about this too. It’s tricky. What is a "beginner" pattern? With our upcoming pattern (next week! ), we hemmed and hawed a bit. Are the categories we’ve been using – beginner, intermediate, advanced – actually meaningful? Do they mean the same thing to most people? What made it doubly frustrating is that the pattern has multiple versions, some of which have details that are more challenging than others. Some versions are pretty quick and easy, while another version has some cool details that take a bit more time and skill. In the end, we decided to round it up rather than risk frustrating a beginner. But I still feel our categories aren’t really adequate. Points on a scale: To get a more nuanced rating, we could rate the difficulty on a five point scale. We could use numbers, pictures, or even abstract terms ala Knitty. Difficulty instead of skill: As our friend Christine pointed out a few years ago on her blog, in some ways focusing on the pattern rather than the skills of the person makes more sense. Skills used: Knitting patterns often do not list difficulty, but instead include a list of "skills needed" or "skills used" in every pattern. With her background in knitting, Kris suggested this and I do really like the idea. It’s much more specific and also has the advantage of letting you know up front what you might learn! Do any of these ideas make sense to you? Do you think there is a consistent concept of what various skill levels mean? Or does it vary as wildly as I think it does? Would a skills list be more helpful than generic ratings? Or would it just make it more complicated to find the pattern that’s right for you? I was just going to say that doing skills like knitting instead of points or difficulty or rating is so much better to have in a pattern – I am a knitting – and knowing upfront what skill is need to be able to sew any pattern would be a tremendous help in letting one know if they can or can not or need to learn a certain skill to make a pattern. I am all for a more is more as opposed to less is best when it comes to any pattern the more that is in there than that is more info for me too see and if I don’t want need or know certain tells I can just skip over those parts. I know it is a lot more work but I am so grateful when a designer takes to time to included a lot of info in there patterns. I would say I am a beginner I know the basics – haven’t sew in 20 or more years – but not everything, So the more info I have ahead of time lets me know if I feel I can sew a pattern, willing to learn or wait until I feel confident and comfortable to tackle it. I remember seeing something a while ago from Oliver and S about the number of pattern pieces tied to how well a patterns sells, with that being a gauge for difficulty. I’ve been sewing since I was 7, when I was first allowed to touch my mom’s machine (with help). Now 42, I still consider myself an advance beginner, though I’ve been sewing my own clothes for a long time. Curious where an outside assessment of my skills would put me. I don’t really take note of beginner/intermediate/advanced when I’m looking at patterns. I’m thinking more about time involvement. Is it a quick sew for instant gratification (summer skirt) or a dig-in and feel really accomplished about making something intricate and well-constructed (a lined coat or dress with multiple muslin fittings). What am I in the mood for? And I often have multiple projects happening in different phases. Pants I know will fit cut and ready to sew, a muslin I’m struggling with in the time out chair, knits ready to cut. The online sew-alongs and bloggers have really changed things for me. Now I google a pattern before I begin to see what bloggers have encountered (super helpful for my Clovers). I also tend to make multiple versions of one pattern, and love the idea of different skill levels within a pattern. After the first garment, the next few go so much faster. Adding a different detail, especially one that requires learning something, is a cool way to continue learning and growing. 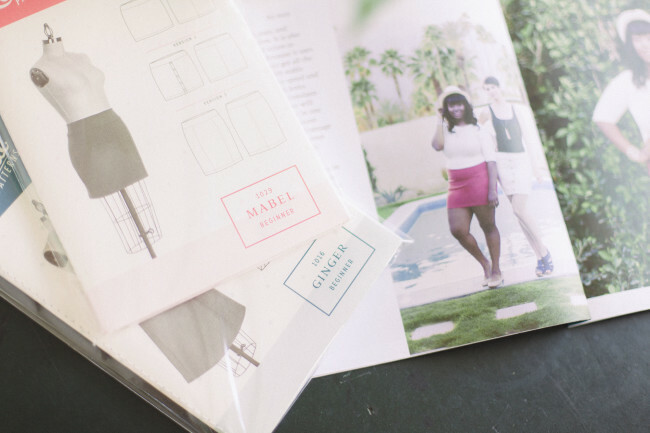 Seamwork seems to combine that quick-sew-and-add-a-skill-if-you-want thing really nicely. I’ve learned a lot sewing your patterns and from the blog. The wardrobe architect was huge for me. Seamwork builds on it with color and fabric. Just love it. I like the idea of connecting certain “skills used” to “skill levels”. Listing the skills used is very useful in determining how long it will take me to make something. I like the idea of “skills used”…I have seen several quilt patterns rated this way. The pattern will say something along the lines of…pattern uses half-square triangles or pattern has y-seams. That gives me an idea of what skills/knowledge I need to make the pattern… as well as letting me know what I can expect to learn in the pattern. Here’s another vote for skills list! I like the idea of rating 1-5, by filling in stars or circles. Rating this way also gives you an option to have multiple ratings in one – e.g., darkly colored 1st circle, then medium-colored circles 2-4 would mean that the rating is 1-4, depending on the variation/view that is selected. I also like the skills listed and I love Steven’s (above) suggestion for an infographic – fun! To me, there is also a weird reversal in meaning between “Beginner” and “Advanced.” The fist implies the skill of the sewist, the second the difficulty of the pattern. It seems like it should be “Beginner” & “Expert” if you want the sewists to rate themselves or “Easy” & “Difficult” if yo want to rate the pattern. I’m in favor of skipping it altogether! I really like the skills idea. I recently took on the Advanced Cascade Duffle which if I’d have paid attention to the Advanced bit would have really put me off (it is advanced but I’m reckless and don’t acknowledge my skill level). I’m definitely in the adventurous beginner category. I’m new but I’ll take a crack at most things. I also like the list of skills used idea. I struggle with defining myself as beginner vs. intermediate. I am an ace at following a pattern exactly. I can sew up accurate pieces based on a pattern all day long, with all kinds of fancy finishes and special techniques. Do they fit me? Hardly ever! It’s not like I’m some freakish ogre. I just cannot for the life of me get the hang of fitting. So, to me, the trimmer or more tailored a fit is supposed to be, the harder it is to make. I hardly ever look at the difficulty rating of a pattern. If it is very difficult, I have a lot of reference books and resources. I look at it as an opportunity to learn more. I usually draft my own patterns but now I’m beginning to buy others as a base to modify. Listing the skills needed is a great idea. I also love the idea of listing skills used! I love the idea of listing skills needed. I think it would make it much easier to choose a pattern. Thank you for really thinking about things like that. I think that the more you learn (in sewing, as well as in everything else? ), the more you realize you don’t know! Perhaps that is why many experienced sewists still think of themselves as less advanced than they probably are. Listing the amount of time needed to complete a project wouldn’t be helpful to me, because I am slower than almost everyone! And how would that figure be arrived at, anyway? There are so many variables. i really like the skills idea! Another vote for “skills (or ‘techniques’),” with links or book-recommendations for where to learn at least some of the more unusual ones . . . what, getting out a new pattern isn’t complicated enough already? I’ve published a couple cross-stitch patterns on Craftsy, and I like how they ask you to set up your description – you’re asked what materials are needed, what tools, and what stitches used, so the buyer can search by stitches s/he wants to use. Oh, and I don’t think that never having used a sewing machine necessarily means you’re a beginner – high-end tailoring and “haute couture” dressmaking houses use a LOT of hand-sewing, and I’d never call them beginners! i love a pattern that teaches a new skill. I also like options in case that skill is a wee bit over my head and I can’t quite pull it off. I recently tried welt pockets and wow, they were easier than I thought it would be. But just in case, the welt pockets were an option, so if I couldn’t’ do it, I had another option that was easier. I’d rather see an indication of skills required than easy/difficult rating, so I can see if it’s something I haven’t done before, but maybe would like to try. I would list the skills needed only. Now whether someone can execute those skills beautifully or not would determine if they are advanced or not. A beginner might be able to make a tailored jacket with good instructions. But it still might not look or fit very good! Yes, skills list and rating. As to how I rate myself…. I call myself a intermediate sewist, (but I know I am advanced) partially so I don’t feel like I am bragging, and also because I prefer to sew quicker, achievable patterns instead of undertaking an endeavour every time. Just an extra comment, remember that if extra fitting is needed to achieve the “look” that can mean a higher rating for many sewists… we are often are lone sewists in the wilderness and self fitting can be tough, and alterations for a curvy sewist often means an even higher rating than someone who is closer to the pattern guidelines. Fbas and sbas are often complicated and it would be great if degree of difficulty reflected the complexity of alterations too. Finally: Listing skills will allow hyperlinks to tutorials… I like that. Cosign Heather’s point. Ultimately, you want people to feel that they got what they expected–those people are likely to be happy repeat customers, rather than disappointed “won’t try that again” customers. But with fit being SO important to whether one is happy with a garment, I don’t know how you signal expectations around that in advance. “Expect two muslins”? “See this page for fitting tips”? My friend and me are both sewing for over 10 years, we both make a lot but still have a completely different set of skills. She sews more with cotton and uses burda magazine and I sew more with knits and use all kinds of patterns. To me her sewing skills are amazing because I have a lot of trouble to figure out the descriptions in burda magazine. And to her my sewing is amazing because knits scare the hell out of her. She recently bought a serger and I explained her how to use it. She often helps me with fitting issues especially if I use cotton. I just want to share this because in the end we are both very confident sewers with a basic set of skills but what I consider hard she considers easy and visa versa. For us we choose patterns not really based on skill level but more on acquired skills, a sort of comfort zone and what we like to wear and sew with. My vote is also for the “skills used” list. I believe it would be more meaningful to me. I’ve been sewing since I was 10 (50+ years! ), and think I can pretty well take on anything, but there are some tasks that I just won’t do willingly! So the list would let me skip patterns which forced me to do the stuff I don’t care for. I’ve done various reviews of what is involved in learning to sew, and agree entirely that listing the skills needed is the way to go. Though the number of different skills needed in making even the simplest pillow cover or elastic waist skirt is astonishing. I’ve recently been reviewing ‘learn to sew’ patterns (not written up yet). I’ve been surprised to find, from comments at Pattern Review, that most of those patterns are much too difficult for a first ever project. You’ve had trouble with the word ‘beginner’. I’ve found the pattern companies mean something different from what I thought by ‘learn to sew’..
From what I’ve seen, you’re getting up to intermediate level when you can deal with collars, fitted sleeves, buttonholes. I truly believe it is all relative. I am a 40 plus year seamstress. (Sorry hate the term sexist, just lacks elegance.) I am comfortable with sewing stable fabrics but don’t give me chiffon, even knits stymie me. But it’s a lifestyle thing. I guess I sew well what I wear. Casual life casual fabric. Smile, smile! Would love to learn knits and lingerie. As I head into retirement in the next month, looking forward to extending my skills and sewing more for a hard to fit daughter to give her great clothes that fit. Fitting is the all time skill that I want to master. Great fitting clothes are the all time luxury. I love the idea of focusing on the skills needed to complete the pattern. It would be really helpful for people to know what they’re getting into. My experience with your patterns is that they are thorough and clear. As a dead beginner, I made a Parfait for a wedding. I got through it just fine because of the clarity of the directions, so sometimes, I think that difficulty ratings can be misleading. Beginners might not try harder things that are within their abilities with added excellent help, and more experienced sewists might pass on an easier garment. This is a tricky topic! I love that you all are conscious of the idea and kicking around alternatives. most of the time I make up my own patterns now, without thinking of me as very skilled, just very freestyle. I like the skills idea, but I wonder if it is really a criteria for choosing a pattern. And to be honest, a lot of times I found pattern descriptions to be simply wrong, which I find way more irritating (especially thinking of beginners), than a difficult pattern. Mostly I want to try something new, because I read about it in a blogpost or a magazine or book, and then i challenge myself with that…. I really like the third alternative: Skills used. Although I would perhaps say, “techniques used”. I think it provides a much clearer idea of what’s involved and therefore allows more security and confidence when starting to sew the pattern. But I would still keep the beginner, intermediate and advanced rating as well ‘cos it might help true beginners. I second Abigail’s comment on word choice. “Techniques” is actually more accurate than “skills” as a way to describe what sewing tasks will be required to complete a garment. I’m in my 60s and have been sewing for many decades, and I choose patterns based on whether they are appropriate for my needs. Sometimes those needs are something quick and easy to finish and other times those needs are for something far more complicated, so pattern rating systems don’t really enter into my decisions. I’d like to add, however, that I’ve purchased a number of Colette patterns (including the lovely blouse that came out this week!–although I have made many blouses over the years) because I like the style and the simplified approach (bias binding rather than facings, for example, on a number of the patterns. As I have used your patterns I have often thought that the instructions are so well written, even a true beginning sewer (sorry, can’t stand the word “sewist”) would be able to turn out a lovely garment. It has been my experience that many other independent pattern companies write instructions supposedly for “beginners,” but who almost certainly wouldn’t have the faintest idea of what they were talking about and would get no help from the accompanying drawings, assuming there are some. Keep up the good work! I’m on board with the skills required idea as well. I never even notice the difficulty rating of a pattern. I look at the line drawings, overview and determine if my skill set is equal to creating the pattern I’m looking at. If not, I still buy it and put it on my list of techniques to research and learn, providing they will add value and be an asset to my skill set. Of course there are always ways around the too difficult by not including certain details or changing the pattern, but that’s not really the question. Skills required is a great way to buy lanterns as long as the list is comprehensive and details the more advanced techniques necessary. Great post!! Skills needed, or techniques involved, sound really good to me. That way I’d know what things I’ve already done and what I might learn. It’d be a super-useful way of evaluating what I was in the mood to work on. Maybe that list could indicate, with an asterisk or something, techniques described in the instructions, or accessible via the website? I think a skills list would be really useful, but it would be good to combine it with a rating. I made a duffle coat recently which was listed as an advanced pattern, and I’d only ever sewn beginner patterns before. The actual skills involved were more on the beginner side of things but the pattern had around 40 pieces, and it was a lot of sewing to get through. A skills list alone would not have shown what a big project it was to take on. I’ve been sewing for just over a year, and have been sewing a lot in that time. I feel confident with knowing/figuring out how to put garments together, but in terms of fitting clothes I’m more of a beginner. I tend to go with trial and error or taking the easy way out (grading from a smaller to bigger size to avoid a small bust adjustment, for example), so these skills are improving more slowly. I think list of skills would be useful for true beginners, but I don’t think it represents some of the other issues at work when choosing a pattern. There are other dimensions which people judge on including time needed and the likelihood of fit issues. When I was starting sewing the second or third project I did was a shirt with a yoke and princess seams (but a very simple collar and cuff finish). This sounds tricky, but I didn’t have a problem following all the instructions, but it took a long time which was frustrating, and when I finished the fit was all off – the problems here were not that I couldn’t pick up the skills I needed, but that I didn’t understand what my likely issues were to be. When people classify a pattern as easy, as well as not needing many skills, they also usually say that it will be quick to sew, and easy to fit. What about providing several criteria and rating them independently (perhaps out of 3 or 5) e.g. skills needed, time required, likelihood of fit adjustments, yardage required. this would help differentiate between patterns – there are those that are quick to sew, but liable to fit issues that need resolved first, and there are ‘intermediate’ patterns (like my shirt example) that take time, but are accessible to anyone who can sew in a straight line, press, and trim. I have to say I ignore ratings such as ‘beginner’, ‘intermediate’ etc. I’ve learnt it’s best to just look at the pattern details to see what’s involved, zip, darts, fitted sleeves etc. and judge myself whether I could manage it. So I don’t think a list of skills would be much more useful than a clear description of the pattern details. Actually I find fitting the most difficult! Even a really simple pattern can be really challenging to fit well if you need to mix sizing and alter specific dimensions, or reshape darts. I really like the idea of listing key skills required as well. I’m also a knitter, and when I look for new patterns it’s nice to have an idea what I’m getting myself into before purchasing a pattern. Also, the estimated time to complete a pattern is something I really like about the Seamworks patterns, and something similar for Colette patterns would be very helpful when planning sewing time. I was thinking about this earlier this week, as I finished sewing a pair of trousers, so after reading this post I went for a look at what different patterns are rated! It seems to me there’s quite a lot of variety between different companies and also my ideas. I have been sewing for about 10 years now, and to start with I would never have attempted anything beyond advanced beginner. Now I would tackle anything but I use the ratings to give me an idea of how long it would take me. I would say I’m probably intermediate, so I would expect to turn a beginner pattern out fairly quickly, and an advanced pattern would take me a while and I’d be expecting to learn lots of new skills. I think there’s a lot of truth in it being the skills you have learnt – I would never rate a trouser pattern as beginner, but then I’ve only just made my first pair! I think having a scale like knitty’s is probably the most helpful, especially if it’s alongside a list of the skills required. I haven’t been sewing that long (about a year or two), so I find ratings very useful. Perhaps a difficulty rating as well as a skill list would be good? The ratings may not be consistent across all brands, but they make for a nice base to start from. Like so many others in this discussion, I pay little attention to skill level in patterns: I buy patterns that appeal to me. In fact, even those labeled easy/EZ/beginner/quick may include techniques that teach me something; and if I follow a pattern step by step I can manage it, regardless of skill level, if the instructions are clear. 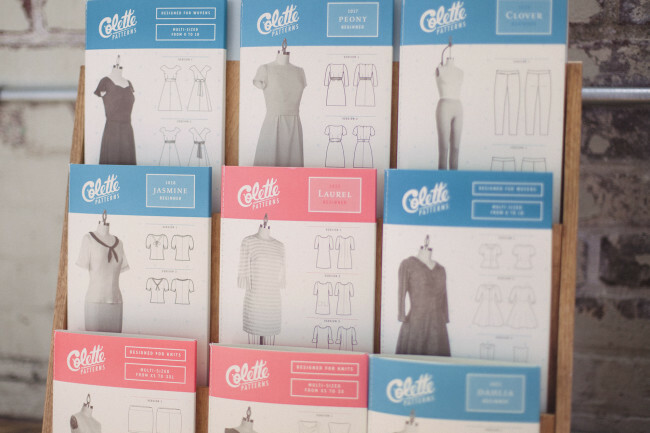 Some design labels, though, hold themselves to a higher level of instruction than others — Colette, for example, is far more instructional than most, and uses images thoughtfully. Vogue, which tends to demand greater skill in beginners than other labels, always had a higher instructional level than Butterick, McCalls, or Simplicity — and so, early in my sewing life, I began to buy Vogue. A Vogue pattern taught me how to sensibly put in a zipper; and I still have an old Vogue pattern that describes in detail how to make bias tape using the continuous, circular method that was under discussion some time ago on this very site — and which is included in beautiful color, with clear steps, in the Colette Sewing Handbook (which I routinely recommend to would-be sempsters — this last word a gender-neutral term that over the past century or so has quietly fallen into disuse). For me, carefully planned patterns like Vogue and Colette could usefully provide two lists: one for techniques that the pattern “teaches” and another for those that are essential but assumed: for example, there could be a list of Instructional Techniques and a list of Assumed Skills. I am sure that this is unrealistic at the level of production; but whatever the case, I find it thought provoking that patterns which provide clear instruction tend also to have more carefully conceived designs than those that do not: perhaps the process of composing teacherly instruction makes otherwise invisible design defects more apparent. That’s an interesting idea. I wonder if it might be helpful to have a single list of skills, but denote which ones have tutorials included or linked within the pattern? Maybe an asterisk, or something like that. Yes. This is what I have been thinking while reading all these comments! Since part of what draws sempsters (love that word, much better than sewer or sewist!) to Colette patterns is the clear, detailed instructions, having part of the description include which techniques/skills are explained in detail, which are assumed, and which are optional would be very helpful. By optional I mean if there is something a bit more advanced in one of the views (like the pintucks/pleats in the new pattern or French seams) or maybe you get into an heirloom hand sewing technique that would work for the pattern) that some would find interesting, but others who may not feel up to it can skip. I think a list of skills necessary is definitely a better way to go. But you need to compose a glossary of terms too so everyone, no matter what country, can be on the same page. Things like ” use of fusible interfacing” “install an invisible zipper” etc. I’ve always felt conflicted with assigning myself to a skill level. It’s really difficult to do, given the the tons of sewing techniques out there. And frankly, I don’t really like labeling myself like that. Now as a pattern designer, I definitely feel uncomfortable judging the skill level of others. It’s all so subjective. I think you’re right, skill levels may only truly be helpful for the person who is completely new to sewing, as they search for “beginner” patterns. A list of “skills used” is a great way to make it objective. Think of them as tags, assigned a la carte to each pattern, with filtering options. It’ll be important to differentiate “skills taught”, for transparency to the buyer. So frustrating to buy a complex paper piecing quilt pattern, only to find that it doesn’t teach how to paper piece! With the flood of sewing patterns in the market now, this is a very important issue to consumers – thanks for bringing it up! I really like the idea of listing skills. When I read that, I thought what a great idea! I’ve been sewing for a few years. And yes there are some skills that I feel confident in. For instance, sewing zippers. But others, such as fitting and making buttonholes not so much. Thank you , Sarai for reaching out to your customers and asking us what we think! I sew and knit and crochet. I’ve never done anything on the basis of how difficult something is meant to be. I mean how difficult can it be? A machine does most of the sewing and hand stitches can be learnt on a need to know basis. One of the first things I knitted was lace, which I found out later is considered pretty difficult. It wasn’t though, you just do the things you need to do. Same as for sewing. Some things take longer, but that doesn’t mean it is more difficult, neither does hand sewing and well, machining is machining and takes practice but I wouldn’t be making a wearable garment anyway until I was satisfied that I wasn’t stitching a wonky line first. So none of it is more difficult than anything else in my view and labelling things just serves to undermine confidence (calling something easy, takes away feelings of pride) or stop you from attempting something you could do because it has been labelled difficult and that is too scary. I consider myself competent and that’s the only definition I need to attempt anything that I want. What is a skill? A hem, now is that a separate skill than that required for sewing seams? Putting on pockets, is that another one. I don’t think so. Another vote for the idea of skills needed to complete the pattern! I taught myself to knit about two years ago, and now I use the list of skills to see if I can complete a pattern, and also to add a new skill every time I make something. I’m now teaching myself to sew, so am really a beginner, and am gathering skills as I go. The Laurel blouse is teaching me loads about sewing and also about my body shape – now i know why I’ve never bought a blouse that really fit me! I’m about to make my third muslin, which will hopefully be wearable. I thought that that Aster pattern looked great for learning, and didn’t look that difficult in some of the versions, so I plan to buy it later this summer when I’m more confident. I REALLY want about six of those in wool and flannel for work next winter! I agree with lots of others. I much prefer the skills list. And even if there were skills listed that I didn’t yet know how to do it would help me 1) know how long I should expect me to take given the skills I already have or don’t and in the process not make me feel like a sewing failure if I can’t do it as fast as the “beginner” marker says I should do it; and 2) allow me to see what new skills I’m buying into and whether I have the time and energy to learn those new skills or if I should wait until later. Personal anecdote time: just a couple of days ago I was looking at a class being offered by threads and told my husband I was thinking about investing in it. I showed him the link and he said that he thought it looked “pretty advanced.” It is a tailoring class that goes through making a woman’s dress jacket/sport coat. I never thought it was “beginner” or “advanced,” I only considered whether I had the time and patience to learn any of the new skills, and was eager to give it a try. All that to say that listing skills required for the pattern would be awesome! Please do. As a teacher, we are often instructed to group the students based on the data. To be more specific, we are instructed to group students based on the scores they got on general assessments. I find this to be a rather ineffective way to group. It does nothing but put together those students who need to work on a lot of things, but doesn’t specify what they need to work on. Now, what is more effective, in my experience, is to group students in terms of the skills with which they need additional practice. If a child got all of the subtraction problems wrong but nothing else, while his score is likely high (if many things are tested on this exam), he evidently needs extra support with subtraction and can benefit from participating in a group focused on subtraction. Now if I may draw comparison, the terms beginner, intermediate, and advanced can be compared to grouping based on a general score; providing necessary skills for the completion of a pattern can be likened to grouping based on skills. I have been sewing less than two years so I am a beginner. There is no doubt there. However, I have sewn many patterns marked intermediate. When I look at a pattern, I don’t look for an experience rating, I look at the line drawing, suggested fabrics, supposed fit, and notions list. Looking at the line drawing, I can see if there are darts, pleats, the type of closure, etc. Fabric choice can make a big difference in difficulty. I know that I don’t know how to handle silky fabrics yet so when I first try one of those, I will do so with something with few seams. The way the garment is supposed to fit makes a difference too. The more fitted the garment should be, the more precise I would need to be. I’m a beginner so precision isn’t 100 percent there yet. Lol. I look at the notions list because it give an idea of what skills are needed as well: zippers, buttons, twill tape, hooks and eyes, etc. These all mean you will have to do things with them. In short, I think listing the necessary skills gives information about the way that the pattern is constructed as well as gives us an idea of the difficulty of the garment as compared to our own skill sets. I think this is such an interesting post. There are many times I’ve been reading a post by a blogger whose skill set I would deem more advanced than mine, yet then they’ll post about something they’ve done for the first time and I’m always taken aback as I would have thought that would already be something they knew how to do. I think there is a lot to be said for techniques that get a bad rap for no real reason. E.g, a fly zipper I don’t see as difficult to do. I have to look it up every time I see one, but they always go in fine but fly zips are seen as difficult. On the other hand sewing bias binding is seen as a basic skill and I always always make a hash of it. I consider myself a pretty accomplished sewer: there are so many things I haven’t done but because of the knowledge I do have i feel like I could at least make a stab at the more challenging things. In relation to how to label a pattern I find rating by level of difficulty with a star system the most helpful. Given your wonderful sites and blog and the glossaries you use in your patterns you could create some kind of online or in-pattern reference that lists out the skills that are required at each difficulty rating and refer to it in each pattern description or something like that. It also prevents people second guessing themselves and deciding not to try things that are deemed too hard. Great post!